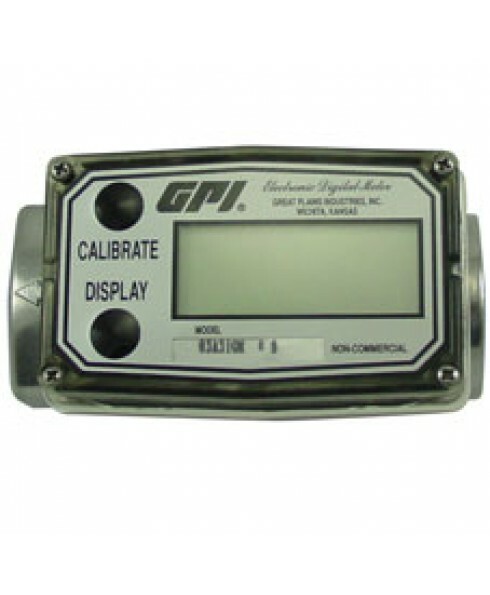 GPI 03A30GM 1139009500 Electronic Digital Meter is lightweight and compact. Easy-to-Read 6-digit LCD displays flow range between 0.3 to 3 gallons per minute (1 to 10 liters per minute). This aluminum turbine meter calibrates fuel flow in both gallons & liters and comes standard with 1 inch NPT fitting. Use GPI 133240-2 M-3025-AD high performance Fuel Transfer Pump on vehicle mounted tanks or vented storage tanks. This heavy duty transfer pump is designed for reducing fueling time. Ideal for farm, construction and equipment fueling. Comes equipped with an Automatic Diesel Nozzle. Delivers up to 25 GPM (95 LPM). GPI 133240-08 M-3025-B100-AL 12-Volt DC Heavy Duty Electric Vane Bio-Diesel Transfer Pump for B100 Fuel with Automatic Nozzle. This transfer pump is designed for use in standard diesel engines and pumps fuel at a rate of 25 GPM. 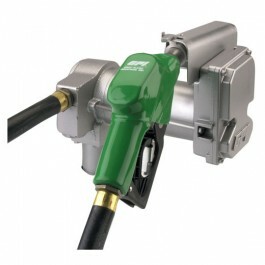 Ideal to reduce fueling time in construction, farm and equipment fueling.